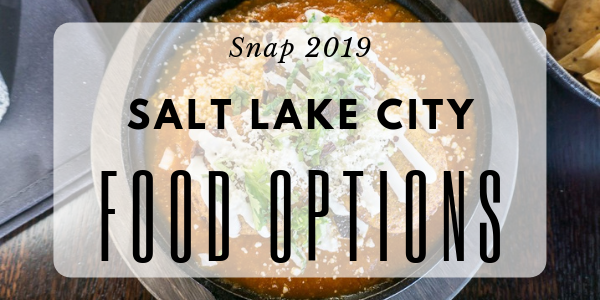 This year at Snap we’ve reserved Thursday evening for you to explore the amazing local SLC eateries. After our Thursday afternoon classes, we’ll divide up into small “niche” groups so you can meet other bloggers who share your interests. You self-select which niche you want to meet with and find their room (see list below). After introductions, we’ll break for dinner on the town! Each niche group has a group leader who will be heading up a group dinner at a local restaurant. Feel free to eat with your niche, or with a group of Snap friends, it’s up to you! From our Snap 2019 friend Lindsay Fekitoa, SLC foodie and blogger at seeLindsay comes some fabulous recommendations…read on! Is Yelp your place for all things food? Snap 2019 speaker Melissa Esplin, SLC Yelp expert and blogger at MelissaEsplin.com has created the perfect Salt Lake Yelp Snap food go-to list with even more fabulous ideas! Believe it or not, Salt Lake City’s food scene has exploded into a straight-up deliciousness.. Grab a quick bite to eat or have an experience. Check out some of my favorite places to eat in Salt Lake. Little America Cafe – classic American breakfast food served right off the Little America Lobby. Call for 2019 Speakers Now Open!